"USDA", "Valley Meat Company", "equine inspection services", "horse slaughtering"
More than a year ago, Congress effectively lifted a ban on horse slaughtering in the United States. Now, companies can apply to the USDA to obtain equine inspection services to cash in on the potentially profitable business of horse slaughtering for human consumption. Valley Meat Company, one such business in New Mexico, claims the USDA is resisting its application by "dragging its feet" instead of providing the requested inspection services. Valley Meat Co. sued the USDA, claiming the agency was politically motivated in its attempt to delay or stop the company's horse slaughtering business. As previously discussed on KJEANRL.com, Congress's latest attempts to ban the slaughter of American horses domestically and abroad have been unsuccessful thus far. Meanwhile, some areas of the country have passed bans on the slaughter of horses for human consumption within their own jurisdiction. On the western side of the United States, Snohomish County "voted unanimously... to ban the slaughter of horses[.]" Some argue that regulation of horse slaughtering in the United States allows for more humane treatment of animals during slaughter, but my concern runs to the foundation of this entire concept. I believe we need to tread lightly down this path. In our culture, animals serve various purposes. Some help with our jobs, some help feed our nation, and some help keep us company. These lines need not be blurred. Our culture has well-defined categories of meat that we consider acceptable. 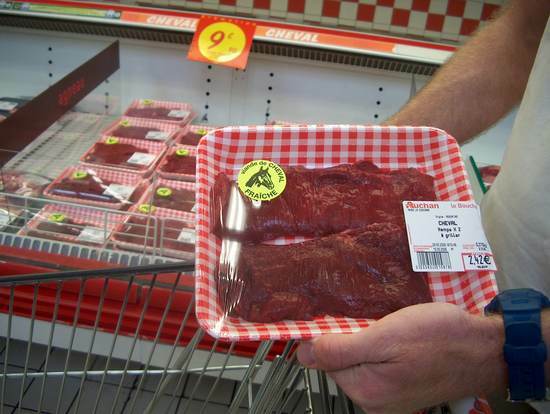 If you ask the average American, I would guess he or she would not recognize horse meat as a favorite cuisine. Overall, my main concern is the nature of this slippery slope. Which pet will we consider a meal next? Dan Flynn, Valley Meat Goes to Court to Get Equine Inspection Services, Food Safety News (Dec. 22, 2012), http://www.foodsafetynews.com/2012/12/valley-meat-goes-to-court-to-get-equine-inspection-services/#.UOCFYKzhesB. Jeri Clausing, New Mexico meat company sues feds, claiming inaction is delaying horse slaughterhouse opening, FoxNews.com (Dec. 20, 2012), http://www.foxnews.com/us/2012/12/20/new-mexico-meat-company-sues-feds-claiming-inaction-is-delaying-horse/. H.R. 2966: American Horse Slaughter Prevention Act, GovTrack.us, http://www.govtrack.us/congress/bills/112/hr2966/text (last visited Dec. 31, 2012). Lornet Turnbull, Snohomish County Council bans slaughter of horses for food, The Seattle Times (Dec. 19, 2012), http://seattletimes.com/html/localnews/2019939777_slaughter20.html. See Clausing, supra note 4.